Game developer and publisher Epic can continue its copyright infringement lawsuit against a minor. A Carolina federal court, which reviewed a scathing letter of the alleged cheater's mother as a motion to dismiss, sees no grounds to throw out the lawsuit at this stage. Last year Epic Games decided to take several Fortnite cheaters to court, accusing them of copyright infringement. Several of these lawsuits have been settled but there is one that proved to be somewhat of a challenge. One of the alleged cheaters (who’s also accused of demonstrating, advertising and distributing the cheap via his YouTube channel) turned out to be a minor, who’s now referred to by his initials C.R. in the Carolina District Court. The game publisher wasn’t aware of this when it filed the lawsuit, but the kid’s mother let the company know, loud and clear. “This company is in the process of attempting to sue a 14-year-old child,” the mother informed the Court last fall. Among other defenses, the mother highlighted that the EULA, which the game publisher relies heavily upon in the complaint, isn’t legally binding. The EULA states that minors require permission from a parent or legal guardian, which was not the case here. 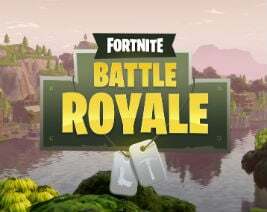 “Please note parental consent was not issued to [my son] to play this free game produced by Epic Games, INC,” the mother wrote in her letter. After this letter, things went quiet. Epic managed to locate and serve the defendant with help from a private investigator, but no official response to the complaint was filed. This eventually prompted Epic to request an entry of default. However, the court wouldn’t allow Epic to win this battle without a fight. Instead, it ruled that the mother’s letter should be seen as a motion to dismiss the case, to see if there were grounds to rule in her son’s favor. This compelled Epic Games to respond to the mother’s letter in court. According to the game developer, most of the mother’s arguments failed to state a claim and were therefore irrelevant. The only remaining issue was the lack of parental consent when C.R. agreed to the EULA and the Terms. However, in its response Epic Games pointed to jurisprudence, arguing that minors can’t void contractual obligations while keeping the benefits of the same contract. This week US District Court Judge Malcolm Howard ruled on whether the case should be dismissed or not. According to the rules, a court has to view a motion to dismiss in the light most favorable to the accuser, which is Epic Games. After a careful review of the mother’s letter, Judge Howard concludes that it’s not enough to drop the lawsuit. The accused cheater now has two weeks to file a formal response to the complaint. If that doesn’t happen, Epic Games is likely to ask for a default judgment. Based on previous cases, the game publisher is not likely to demand a high damages claim. Instead, its main goal appears to be to stop the cheaters’ infringing activities, and prevent others from doing the same. A copy of US District Court Judge Malcolm Howard order on the motion to dismiss is available here.